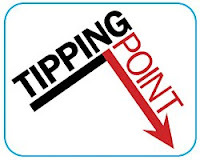 Alert HQ signals for Tuesday, April 27, 2010 -- another tipping point? 30 Swing Signals -- 9 BUY signals and 21 SELL signals. 374 Trend Leaders, all in strong up-trends according to Aroon, MACD and DMI. We have 62 stocks that are new additions to the list and 272 that fell off the previous list. 23 Trend Busters of which 6 are BUY signals and 17 are SELL signals. 175 Gap Signals -- stocks with upside or downside gaps or gaps that have been closed. 83 are bearish gaps and 92 are bullish gaps. You know the market has taken a hit when 8 out of 9 Swing Signal BUY signals are inverse ETFs. The bearish tone is reinforced by our Trend Busters list where SELL signals are in the majority. The number of stocks on the Trend Leaders list has decreased significantly. Only the Gap Analysis list shows some small signs of bullishness. A number of technical indicators suggest we are starting a short-term pullback. VTI has fallen below its 20-day moving average, MACD is looking bearish, slow stochastics have fallen below 80 and Williams %R has fallen from above -20 all the way down to -72. These are all classic technical analysis signals suggesting short-term bearishness. It looks like stocks are at a tipping point. 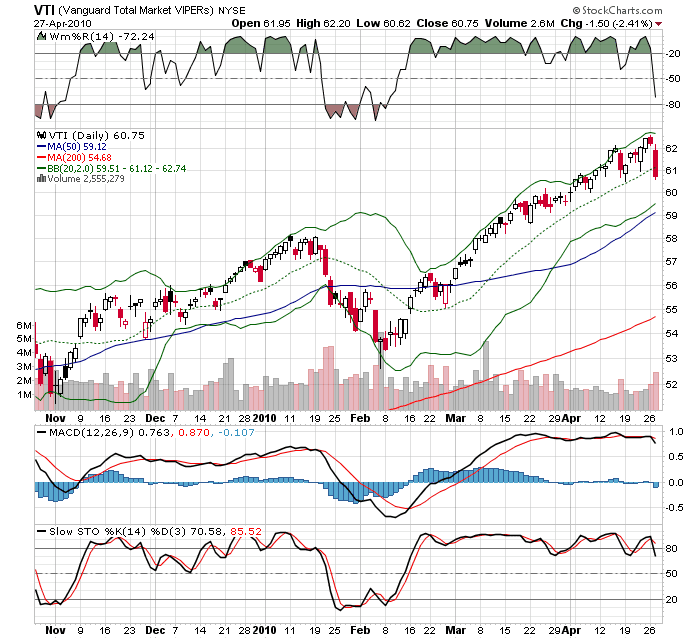 I wouldn't be surprised to see VTI at least test its 50-day moving average before we're done. If you agree that we're in for a pullback you still need to consider whether you wish to indulge in a short-term trade or whether you are willing to take the long view. If you're looking for the short-term trade, inverse leveraged ETFs such as we have on the Swing Signals list are good choices. If you are looking longer term, this is when you need to pull out your list of buy candidates. If you're like me and you are confident the long term trend is clearly up, these pullbacks present buying opportunities. As always, browse Alert HQ for a good selection of both BUY and SELL signals that could help you no matter which persuasion you happen to be.